Want the secret to an easy, yet luxuriously close shave? 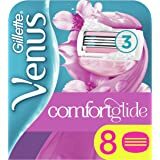 Try Gillette Venus Breeze women’s razor blades. Thanks to the built in shaving gel bars, these blades refills lather and shave in one easy stroke, so there is no shave prep needed. 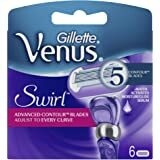 These refills also feature three curve-hugging blades for a close and comfortable shave. 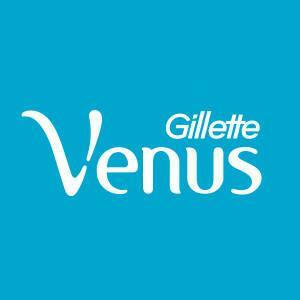 Venus razors were the first to be designed with women’s curves in mind. 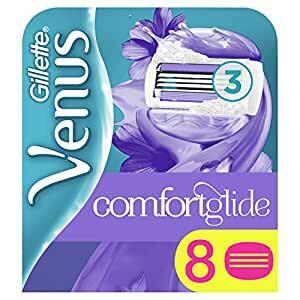 From handles designed for a comfortable grip to pivoting heads that contour to curves, Venus razors are designed to help reveal touchably smooth skin. 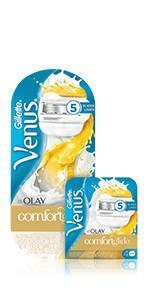 Venus razors feature three curve-hugging blades for a close and comfortable shave. They also have Moisture Bars, which provide a light lather when wet, so there is no need to use any shave prep. Thanks to the Moisture Bars, which provide a light lather, there is no need to use any shave prep. Did you know that any Venus blade refill fits any Venus handle? 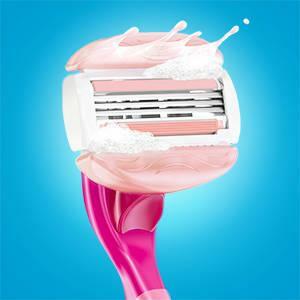 Find your perfect shaving match, without buying a whole new Venus razor. 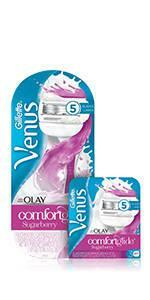 Venus Comfortglide Spa Breeze features three curve-hugging blades for a smooth shave that gives you great results. 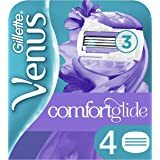 Lather and shave with Venus Comfortglide Spa Breeze. When wet, the built-in Moisture Bars provide a light lather for incredible glide and comfortable shave. 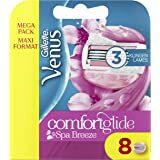 Venus Comfortglide Spa Breeze shavers have built in shave gel bars that are designed to flex with your body’s curves. 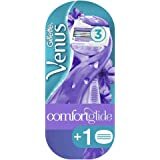 How often should I change my Venus blades? While there is no set rule, you should replace your blades at the first sign of dullness or discomfort. 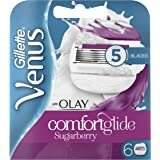 Will shaving give me ingrown hairs or red bumps? An ingrown hair occurs when the end of a hair gets trapped underneath the skin, resulting in a little red bump. Ingrown hairs are caused by numerous factors, which is why some women might have a higher likelihood of getting ingrown hairs from shaving than others. 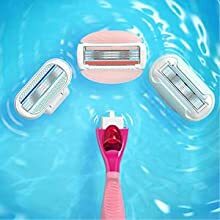 There are a few tips to help reduce the likelihood of ingrown hairs when shaving. First is exfoliation. 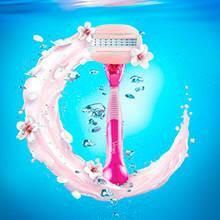 Use either a brush or exfoliation soap on your skin to remove any obstructions to a hair’s growth. Second is to ensure your skin is hydrated by having a warm shower or bath. Last, use a fresh blade and shaving aid like gel. 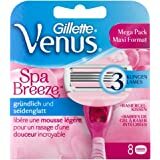 Can I use Venus razors on my bikini line? 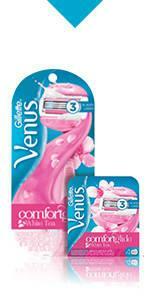 Yes, Venus’ razors can be used on your bikini line. For optimal results, it is recommended to first trim the area with some scissors or a hair trimmer. Then, in a warm shower or bath, apply shaving cream and use a fresh blade. Make sure to use a moisturizer when done to keep your skin hydrated. What direction should I shave in? The shaving direction depends on the body area due to the way the hair grows. For underarms, it is best to shave from all angles (up, down, and sideways). For legs, it is best to start at the ankle and move upwards. Finally, for the bikini area, first shave in the direction of the hair’s growth (inward) and then against for an extra close shave. 1.0 out of 5 starsCan't figure out if these are legit? I have brought these blades before on the high street and got on well with them. But when these arrived I was sceptical they were legitimate as the packaging was flimsy and looks like it has been badly copied and printed up on a home printer! The blades themselves seem to cut me every time I use them and go blunt very quickly. However the description seems to suggest they are coming from the main manufacturer? Won't repurchase. These are SO SO expensive. No matter where you go, 4 of these are @ least £10+ so when I found these @ £16 for 8 I jumped and brought them. As I've said, they're so expensive but they are worth it for the price I paid on here. For me and my partner, we use one a month, so in 4 months these will be gone, but, £16 every 4 months you cant really complain hence why the 5 stars. They smell amazing, do a perfect shave so less need for shower gel and as they are the cheapest I have found so would buy again - arrived next day too with amazon prime! Much cheaper than anywhere else. Nice and smooth after using body scrub and shaving gel. Occasionally the odd cut but not very often. 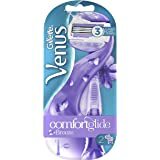 I ring my legs get very sensitiveand its hit or miss when trying to keep moisturized when shaving but these are fantastic in doing that job. 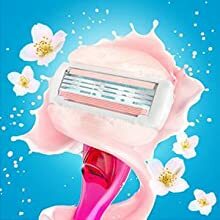 The fell pads on the top and bottom of the razor don't wear away quickly and remain in place even after quiet afew uses. Girlfriend use's these all the time. She used to use the Olay Gilllette but the gel on the razor kept falling off and it didn't last that long. These last a lot longer than the Olay ones so are much better. Left my skin feeling very dry and itchy.